Punja Sahib Transport Co. is a full-fledged travel company based in New Delhi and provides excellent Bus Services all over India. 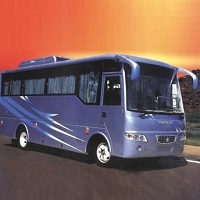 We provide bookings in all types of buses such as A/C, non A/C, deluxe and economic. We facilitate extremely safe journeys and the clients wishing to take a bus journey during winters or monsoons can also attain our services without any worries.